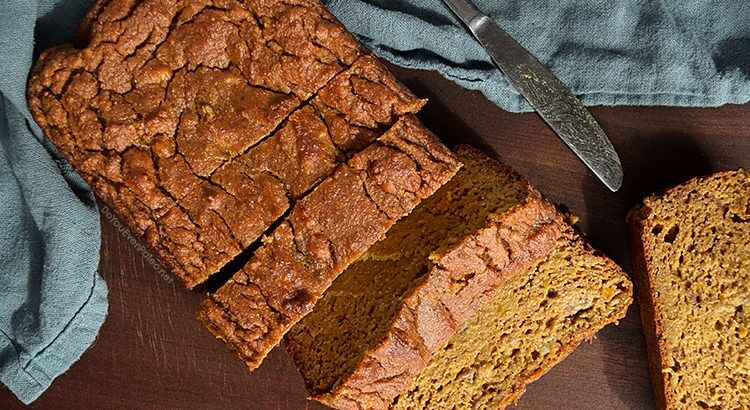 Pumpkin bread and banana bread are arguably two of the best kinds of quick breads, so why not combine the two? 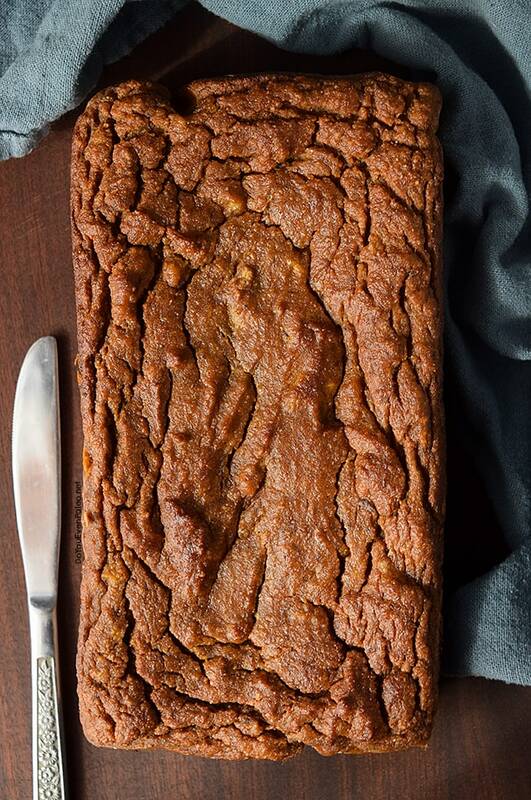 This paleo pumpkin banana bread does exactly that and pulls the marriage off rather nicely. 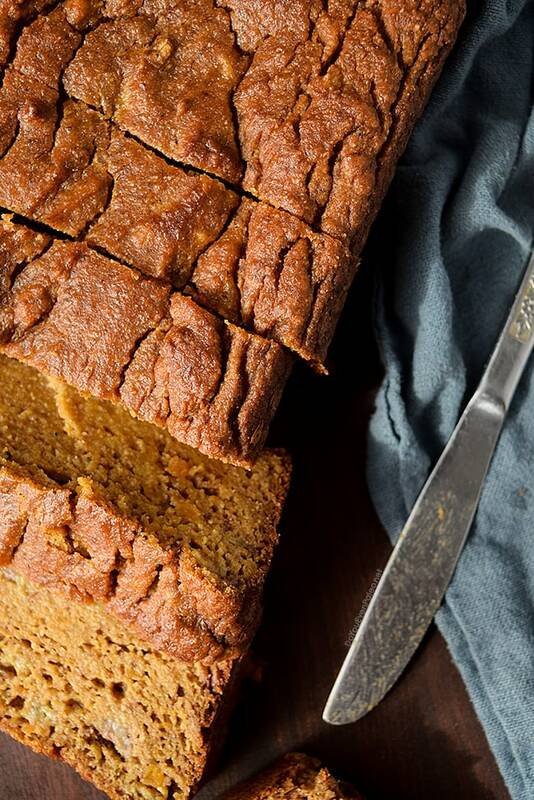 There are a plethora of quick bread recipes out there, so what makes this one special? I mean, everyone and their mother has their own banana bread recipe (including me). And half of those people have a pumpkin bread recipe, too. Well, I don’t have a catch-all answer that’s going to explain why this recipe is special. 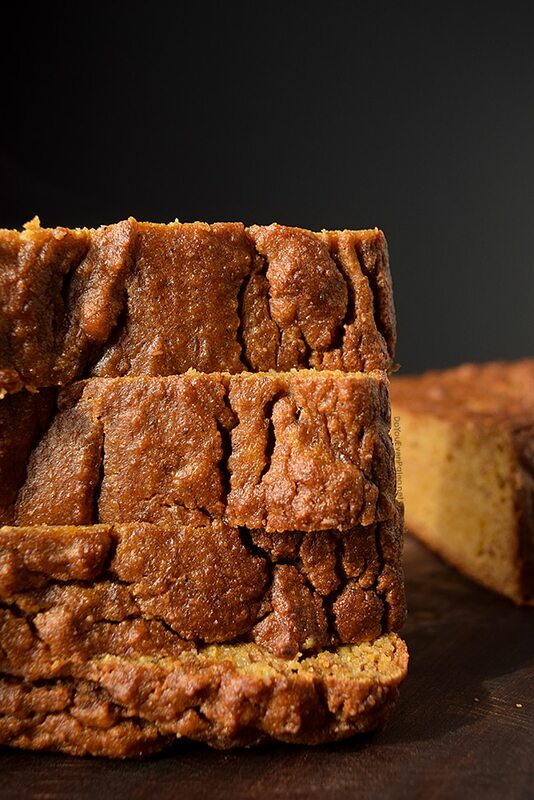 It’s pumpkin banana bread that’s gluten free and paleo. And to put it simply, it tastes really damn good. I have a renewed interest in baking this year. Either the season or all the recipes I see on Pinterest are fueling my interest…but I’ve recently forayed into paleo/gluten free baking with fervor. I don’t need all the food around, so I often bring what I make to CrossFit or to friends’ houses. I suspect that a few friends want to hang out with me just because I provide baked goods and other treats… But let’s face it, there are worse roles than “that friend” who showers everyone in food! Rest assured, I save a few treats for myself. Banana bread is one of my favorite things in the world. I happily hoarded this recipe and took great pleasure in perfecting it. 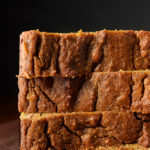 A slice of pumpkin banana bread slathered in melted ghee? Not many things in the world are better than that! Quick side note. How drool-worthy are these pictures? I’m in love with them. This last summer, I admittedly started getting lazy about the pictures I was taking. I’m trying to be more thoughtful with my food photography, and I’m gradually learning more. So far, I think it’s paying off. Line a 9″ x 5″ loaf pan with parchment paper and pour in batter. Bake for 60 minutes or until a toothpick inserted in the center comes out clean. Thanks Anna! It definitely involves a lot of trial and error to work out a recipe that’s worth posting! I made this recipe today into muffins for the week! SOOO good!!! So glad to hear it! Making them into muffins is SUCH a good idea! I’m wondering if you can make this in a bread Maker?! What do you think? Hey Cherie! Since this is a quick bread recipe, I’m not sure it would work in a bread maker. I have zero experience with bread makers, though, so I really have no idea! would coconut flour in place of tapioca flour work? No. Coconut flour absorbs way more moisture than any other gluten free flour, so you can’t sub it 1 to 1 for anything. You could try subbing 1/8 cup coconut flour for the tapioca flour, but I have no idea if that would work as I haven’t tried it. But I have subbed arrowroot flour for the tapioca flour 1 to 1, and it works just fine! Don't subscribe All Replies to my comments Notify me of followup comments via e-mail. You can also <a href='https://www.doyouevenpaleo.net/comment-subscriptions/?srp=1903&srk=87505361eee98908ddf6ccb8681f50d6&sra=s&srsrc=f'>subscribe</a> without commenting.